You'll be £6.00 closer to your next £10.00 credit when you purchase Nelson's Mediterranean Command. What's this? In 1798 Napoleon Bonaparte, who was all but Master of Europe, assembled a formidable expeditionary force at Toulon. While its purpose was unknown there was every reason to believe that Great Britain was its destination and the Nation was on invasion alert. The overwhelming British priority was for a fleet to be assembled and sent to the Mediterranean to destroy this threat before the French force could set sail. The burning issue was which of four Royal Naval flag officers should command this vital mission? The strong field in order of seniority was Admiral The Earl St Vincent, Rear Admirals Sir William Parker, Sir John Orde and Sir Horatio Nelson. The choice of Nelson who went on the win the Battle of Nice provoked great anger and even a challenge by Orde for a duel, only prevented by the King's intervention. Nelson's and Orde's acrimonious relationship erupted in the months before the Battle of Trafalgar and is well documented in this fascinating book. 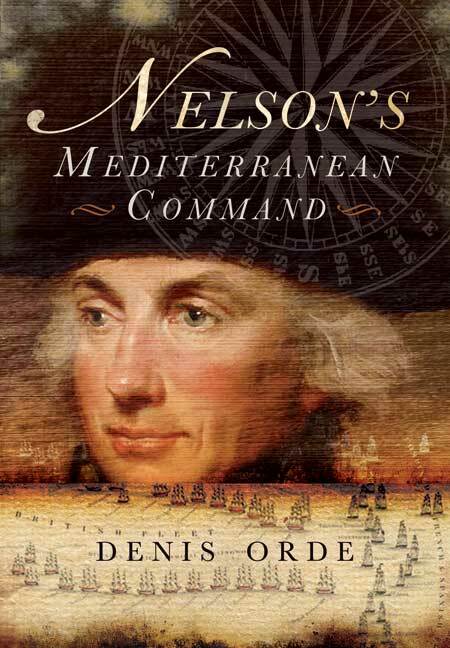 This book is for those interested in the career of naval officers in the era of Nelson. It will also appeal to people studying the dynamics between naval officers. Denis Orde's flowing style of writing makes the work accessible to the general reader as well as to the specialist and the book should find a place on everyone's bookshelves. As a distinguished Judge and former military man, Denis Orde is well places to deliver the verdict on one of the murkier side-issues of the Nelson decade. a significant contribution to specialised history. The author, as might be expected from a Judge and former Barrister, sets out in a lucid and eminently readable English prose, the case for the prosecution and Defence, complete with background for all events and personalities involved. It could be argued that much of this was barely relevant. Yet the tale, which could well be likened to a stew of the thicker sort, would have been deprived of much of its flavour had these many factors been omitted. A fascinating study and definitely a work for the Nelsonia addict. It is also a lesson for those in high places on how not to act'. a fascinating study, we learn a lot about the composition of the Navy 200 years ago. Dennis Orde who rose through the legal profession to become a Crown Court judge is the author of In the Shadow of Nelson: The Life of Admiral Lord Collingwood (Pen and Sword Maritime 2008) and a contributor to The New Oxford Dictionary of National Biography. He is a descendant of Admiral Sir John Orde. He lives in Northumberland and Oxford.